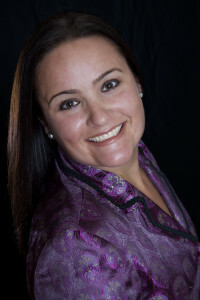 Leigh Fazzina, principal of Fazzina & Co. Communications Consulting, Inc. is an award-winning public relations counselor with 20+ years of experience in helping organizations build awareness through traditional, digital and social media communications. With a bevy of industry awards and a lineup of well-known clients she’s helped dozens of satisfied clients strengthen their names, enhance their images and build their businesses. Leigh has worked on the corporate, big-agency and non-profit sides and her experience includes brand communications, media relations, social media communications, media training, broadcast communications, speech writing, event planning/management, crisis/advocacy communications and measurement. Leigh Fazzina is an innovative problem-solver, a strategist, and always thinking three steps ahead. Over her career, she has won a number of industry awards including those from the Public Relations Society of America (PRSA), the International Association of Business Communicators and several others. She founded Fazzina & Co. Communications Consulting in 2009 to help mid- to small-sized companies with their public relations and social media communications needs at competitive rates. Leigh most recently served as a Director-at-Large for the Philadelphia Chapter of PRSA for two years and she is also a past president of PRSA’s Health Academy and served in a Board-of-Directors position with the organization for 9 years from 2003-2012. In 2016 she was named as one of the Pharmaceutical industries ‘’Digital Savvy Women Pharma Pioneers’ by by Pharma Marketing News (a pharmaceutical trade publication) for her social media communications experience within the industry.